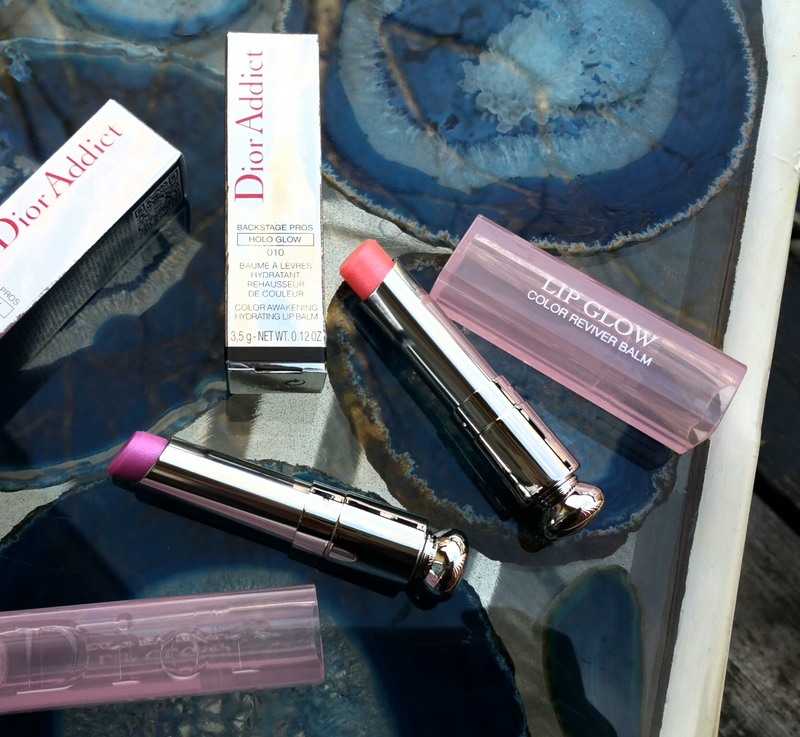 If you are a Sephora Rouge member you can grab two new, exclusive shades of Dior Color Awakening Lip Balm: Purple and Pink Holo (009 and 010). But, don’t get too excited. I guess there are only so many ways to reinvent the wheel. 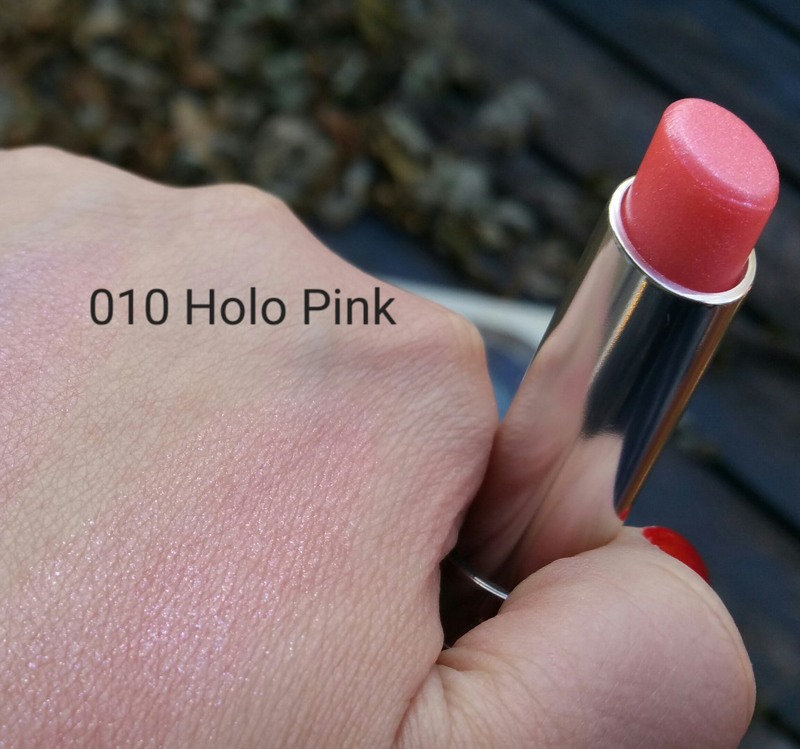 Read on for my take and some swatches. They look beautiful out if the package. They look distinctive. They swatched nicely on my hand. There was a discernable difference in color. But on my lips these shades look EXACTLY the same as each other (on me at least). I did the old half one color and half the other trick. I watched and waited for the colors to develop differently, but they never did! What a disappointment. 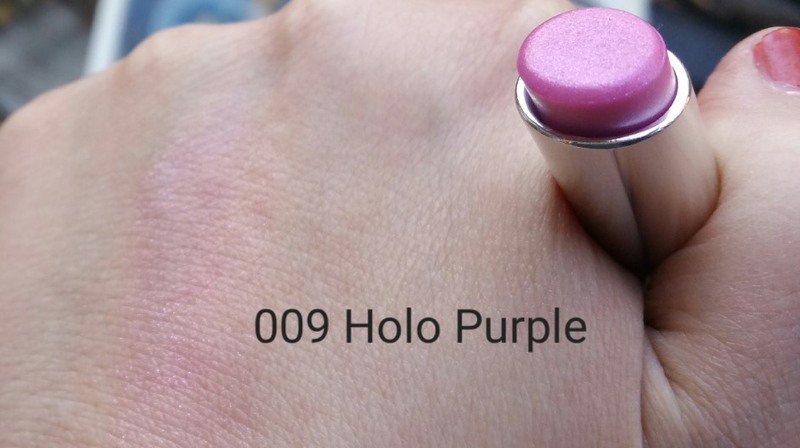 Purple and Pink Holo turned out exactly the same shade. I can’t tell the difference. These have a pearlescent look with tiny sparkles. Those sparkles make then too clunky and clumsy to be called “holographic.” And I have plenty of holographic makeup to look at for reference. In these pictures below I have Pink on the left half of my lips and Purple on the right. By cracky. It looks like I am wearing the same product all over. Guess what I’m thinking? If you are considering buying these, just buy one or the other. By the way, these do not meet “my natural” standard, but you already knew they wouldn’t, right?